It wasn’t that long ago that just describing your application as a "software-as-a-service (SaaS)," or saying that it ran “in the cloud” was enough to get attention. SaaS just isn't so new and different anymore. In almost any market these days, people are well-aware of SaaS, and they have a decent choice of cloud-based solutions for HR, CRM, ERP and a whole range of other acronymed applications. If your goal as a marketer is to differentiate yourself, simply highlighting the fact that your solution is "SaaS,""runs in the cloud" or is “web-based” really doesn’t do much for you anymore. 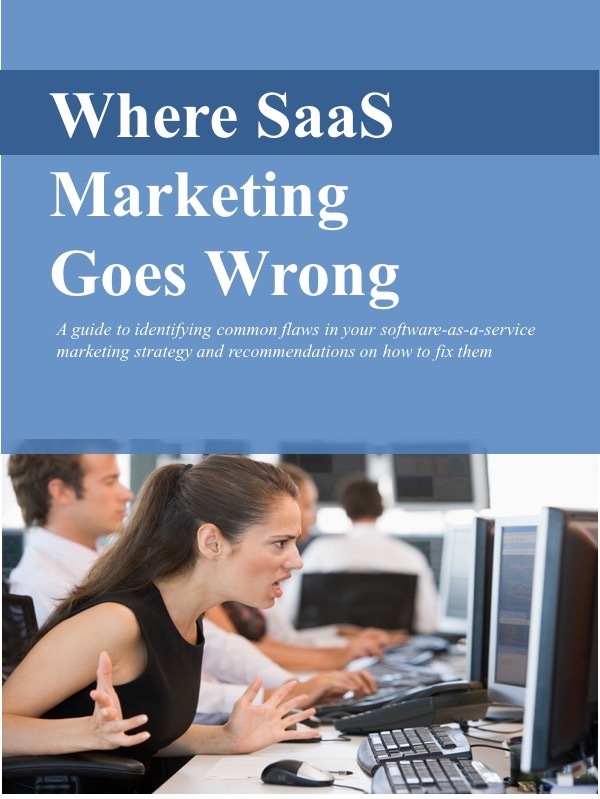 In your marketing messages, there’s no point in putting your “SaaS-ness” or “cloudiness (? )” front & center anymore. For customers, it’s just not the most important thing. They can let experts worry about uptime and security. Highlighting benefits, not the technology itself, is an especially good idea for most prospective SaaS solution buyers. Usually they're professionals in HR, sales, marketing, or finance. They're not technologists. Of course they care about security, access, performance and other benefits that depend on the platform. And sometimes a SaaS primer can help. (Call me if you need help with a primer.) But most SaaS solutions are not a technical sell. Of course you’re proud of the solution you’ve built and how you’ve built it, and you'd love to tell everybody about your clever technology. But if you want to get the attention of prospective customers, don’t talk about what you want to say. Talk about what your customers want to hear.